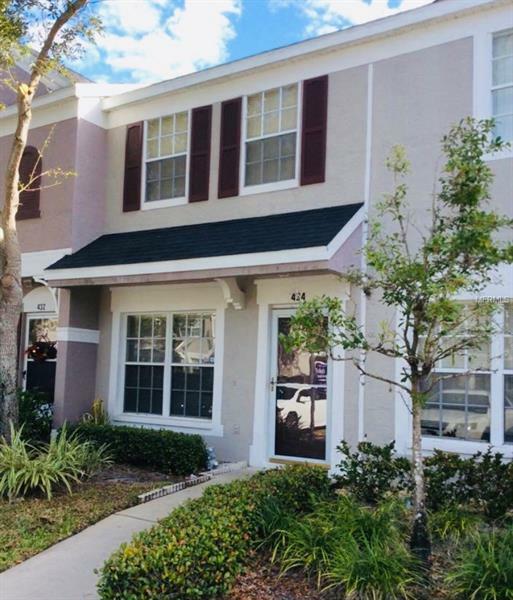 Location location location..... on the pond with gazebo and pool view......Countryside Key 2 bedroom, 2.5 bathroom Townhome with open floorplan and laminate floors throughout. Enjoy the ducks form a screened in patio complete with storage closet. The open kitchen with breakfast bar and pantry also houses the laundry area and sliding doors to the patio. A large living room and dining room with half bath completes the downstairs. The master bedroom has terrific closet space, fantastic view of the pond, and a full bath. The second master also has a full bathroom. Gated community boasts a pool, tennis courts, RV and boat storage as well as easy access to the beaches, shopping, dining and entertainment.